What are you filling that blank with? Sometimes we take for granted or don’t recognize how important this statement is. I was never big on affirmations, but I have always believed in the power of self. Part of that power comes from the conversations you are having with yourself. You have to be careful with your choice of words and should be choosing only those which work towards your benefit. The words you choose should cultivate inspiration and motivate you. Whenever you fill in that blank, you empower yourself. It would be in your best interest to always speak positive of yourself. Believe it or not, you rewire your brain when you start speaking highly of yourself. The power of “positive thought” is very real. Fellas think about the last time you put on a nice suit and ladies think about the last time you put on a really nice outfit. Remember when you looked in that mirror and said “I LOOK GOOD”. Can you remember that feeling that came over you? Your posture improved, a smile came over your face and you was ready to conquer the world! This energy is always available because it is within you. Of course that energy flows both ways, so when you speak of yourself, be it positive or negative, you engage energy towards you or against you. The words you choose ultimately fuel your actions. This is why it is so important to pay attention to those “I am’s”. 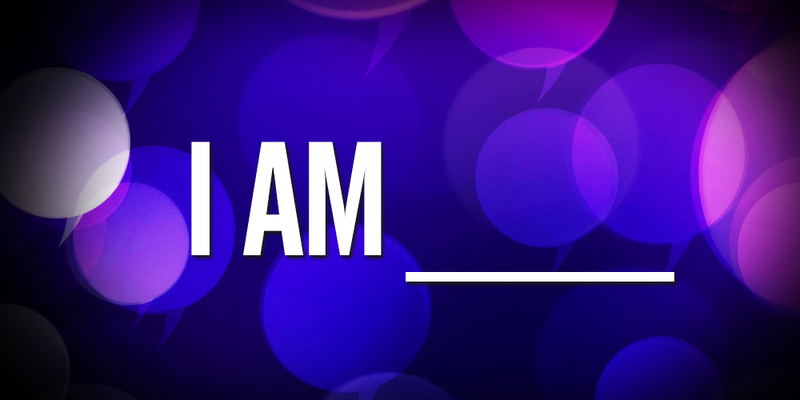 So the next time you think or say “I AM ___”, fill in the blank wisely.